Kids love stories about underdogs, and the American Revolution is among the most famous of these tales. Desperate to be an independent country free from Britain, the rebel colonists relied on their cunning wit and visionary leadership to win an impossible war. And then they faced the real hardship--creating a country out of a victorious but chaotic society. Using engaging text, hands-on activities, and links to primary sources, The American Revolution: Experience the Battle for Independence shows readers how rebel soldiers fought in horrific conditions while their families faced their own hardships for the sake of freedom. Students examine wartime propaganda to discover the truth about events leading up to the war, and engage in vibrant debate, strategic planning, and literary deconstruction to understand the official documents upon which America is founded. Building a marshmallow cannon and creating real colonial food are some of the projects that engage readers' design skills. Essential questions require readers to activate their critical thinking skills to discover the truth about the most important moment in American history. 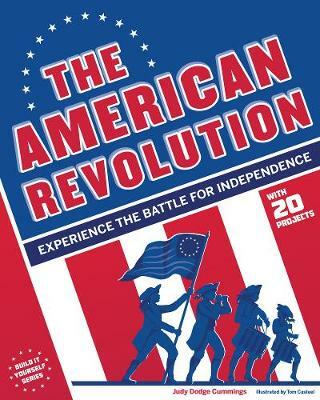 The American Revolution meets Common Core State Standards for literacy in history and social studies; Guided Reading Levels and Lexile measurements indicate grade level and text complexity.